Welcome to March in Wisconsin! 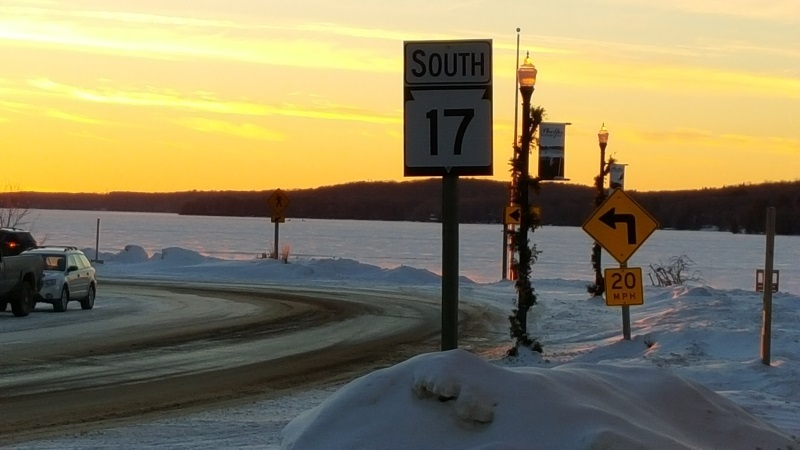 Highway 17 in Phelps during a winter sunset. Winter is hanging on in most areas of the Badger State while spring is trying to work its way in. Welcome to March in Wisconsin! There’s a lot to see when you do State Trunk Tour drives on Wisconsin highways, and with events this weekend like the Milwaukee Journal Sentinel Sports Show at State Fair Park in West Allis or Arti Gras in Green Bay, there’s plenty to do at the end of your road trips. We’re adding more routes and more detail to existing routes, along with pictures, points of interest, and more as we get ready for spring – which is always interesting here. Enjoy the Badger State by exploring it – Pick Some Roads and GO! !